Education Minister demands Shin Bet Chief Nadav Argaman explain why intelligence organization failed to provide data on PA terror payments. 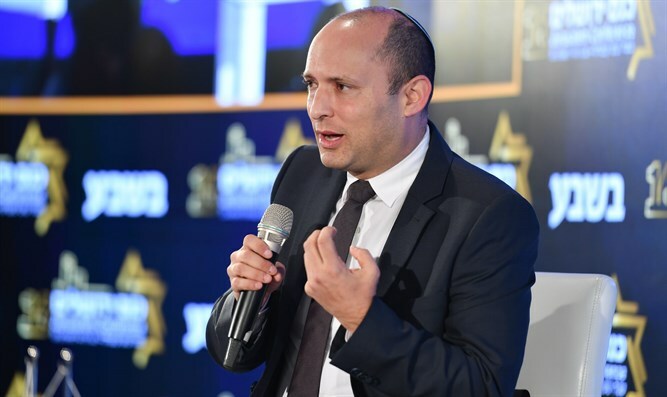 Education Minister Naftali Bennett confronted Shin Bet Chief Nadav Argaman during the weekly Cabinet meeting Sunday, News 12 reported. Bennett demanded that Argaman explain why the Shin Bet had failed to provide data on amount of money the Palestinian Authority pays to terrorists after the Knesset passed a law allowing Israel to withhold funding from the PA equal to its payments to terrorists. "The law passed seven months ago. Until now you have not been able to bring us enough data and information to implement it," Bennett said. The head of the Shin Bet told Bennett, "I am not prepared to accept such comments from you. There is intelligence work and there are experienced people who know how it is carried out." Prime Minister Netanyahu intervened and said, "Minister Bennett will allow the head of the Shin Bet to complete his remarks." At the end of the discussion, the Political-Security Cabinet decided to offset NIS 502,697,000 ($140,350,300) from the funds transferred from Israel to the Palestinian Authority. The figures presented by security officials indicate that in 2018, the Palestinian Authority transferred the said amount to terrorists imprisoned in Israel, to their families, and to released prisoners. Therefore, it was decided to freeze a sum of money equal to the taxes collected by Israel on behalf of the Palestinian Authority. Prime Minister and Defense Minister Binyamin Netanyahu instructed the security forces to examine further payments that the PA makes to terrorists and their families.